Here on Learn Jazz Standards, there are a few great posts on walking bass lines for bass players: How to Keep Your Bass Lines Interesting and How to Write a Walking Bass Line. In this post, I want to take abstract concepts about how bass lines are constructed and use them to create practical exercises that help all musicians learn how to improvise walking bass lines in real time. This post is mainly aimed at those of us who have little or no experience dealing with this aspect of jazz performance, but bassists might find this post also gives them a useful and concise summary of the basics of how to practice the art of improvising jazz bass lines. Why you should practice walking bass lines even if you don’t play bass. Walking bass line exercises you can practice. If I don’t play the bass, why should I bother to learn how to walk bass lines in the first place? This is a great question because the idea that we should devote any amount of our finite practice time to developing a skill that isn’t directly applicable to many performance situations might be counterintuitive at first glance. That being said, here are some arguments in favor of learning how to walk basslines that I think are compelling and applicable to all jazz musicians, regardless of your instrument of choice or level of experience. 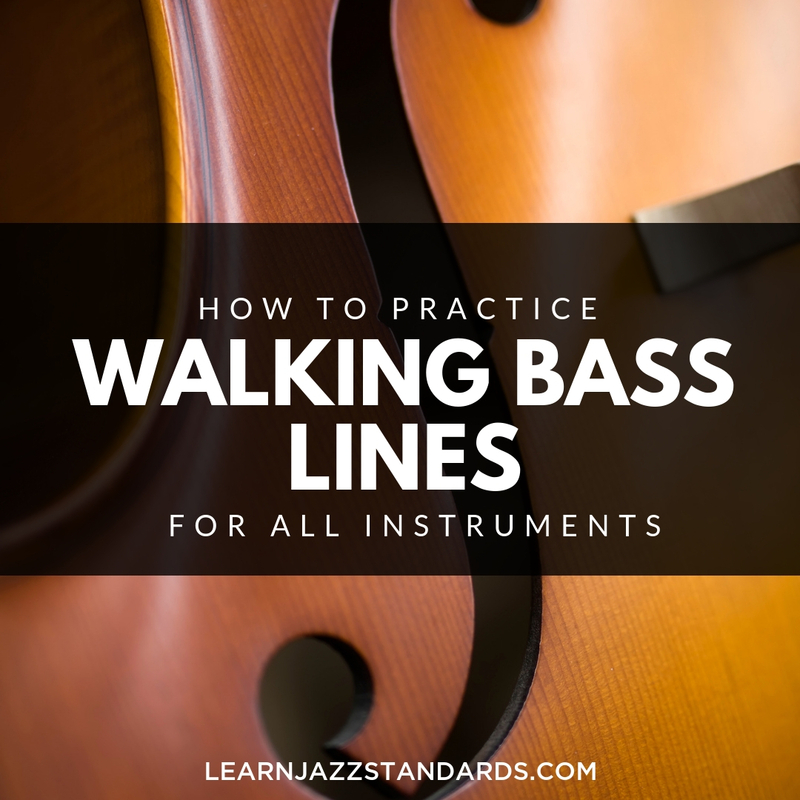 #1: Walking bass lines helps us learn and reinforce the fundamentals of jazz harmony. 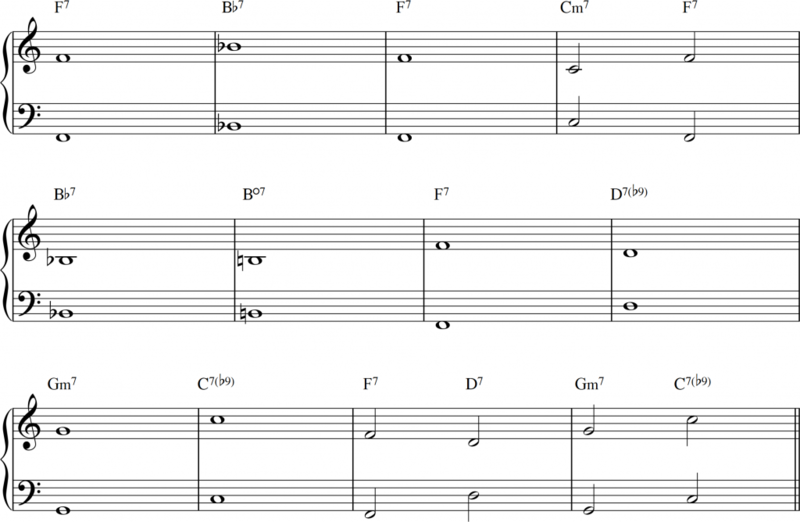 Jazz is an inherently harmonically complex style of music. 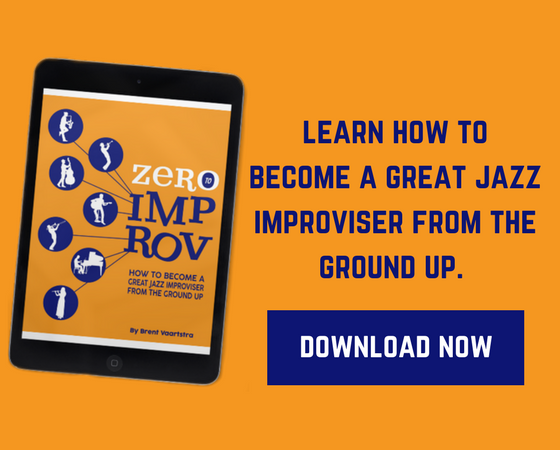 As jazz musicians, we spend a lot of our practice time trying to learn to think, hear, and play our way through complicated chord progressions as improvisers. In order to walk a bass line successfully, we have to really master the basics of jazz harmony, so learning how to walk bass lines is a great way to address the fundamentals of jazz theory. For example, in order to effectively walk jazz bass lines, we need to have a strong grasp of the basics of jazz chord types, we need to have a good understanding of jazz chord symbols, and we need to know our basic scale and chord types in all twelve keys. 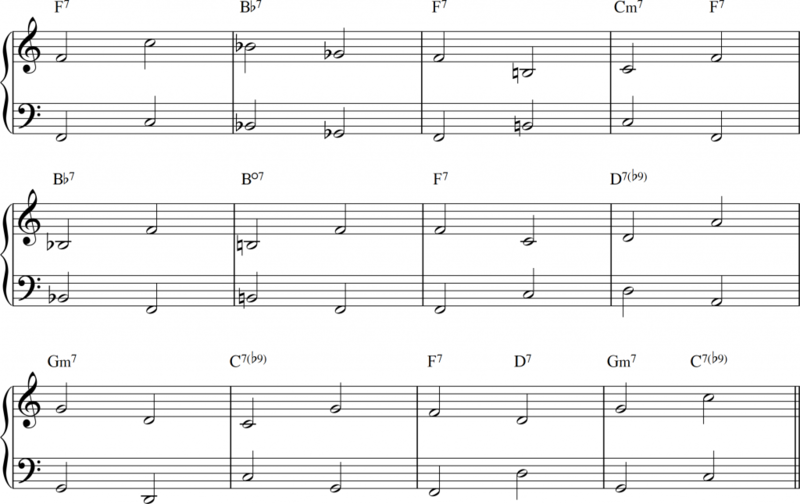 #2: Walking bass lines gives us a systematic way to memorize jazz standards through structured repetition. In order to be successful and enjoy ourselves as jazz musicians, we have to memorize a large number of jazz standards so we can participate in gigs and jam sessions. So naturally, we spend a lot of our practice time learning tunes. The only way to memorize songs is through structured repetition so that they stick in our memories. In addition to memorizing the melodies of standards, we have to memorize the chord changes as well, of course. One great exercise that helps us familiarize ourselves with a tune we’re learning is to repeat the form of the song over and over again by walking bass lines over the chord changes. The sheer repetition of hitting roots and fifths and other chord tones on every downbeat for every measure helps our brains, ears, and fingers memorize and retain the harmonic progressions of the tunes we’re practicing. 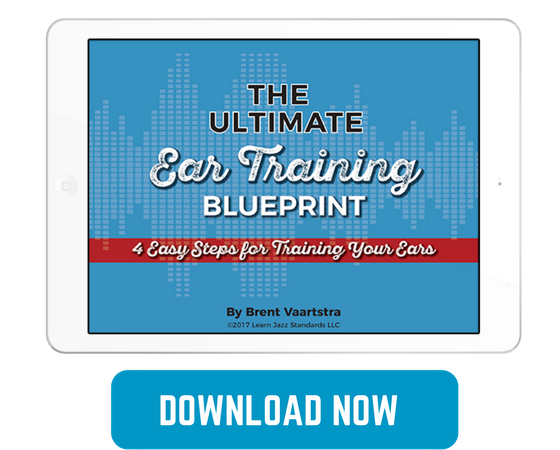 #3: Walking bass lines can significantly improve our ears. To be great improvisers, we have to develop our ears so that we can track the forms and chord changes of tunes and so that we can hear and interact with what the other musicians in the band are playing. If we engage our ears while practicing bass lines, our ears learn to hear the patterns of root movements between chords that are very common to standard jazz chord progressions. Through repetition and concentration, we can gradually become better and quicker at hearing and recognizing the root movements of basslines, and this helps us to hear and recognize chord changes by ear in real time while playing. #4: Walking bass lines forces us to address the fundamental skill of maintaining a steady tempo while playing. 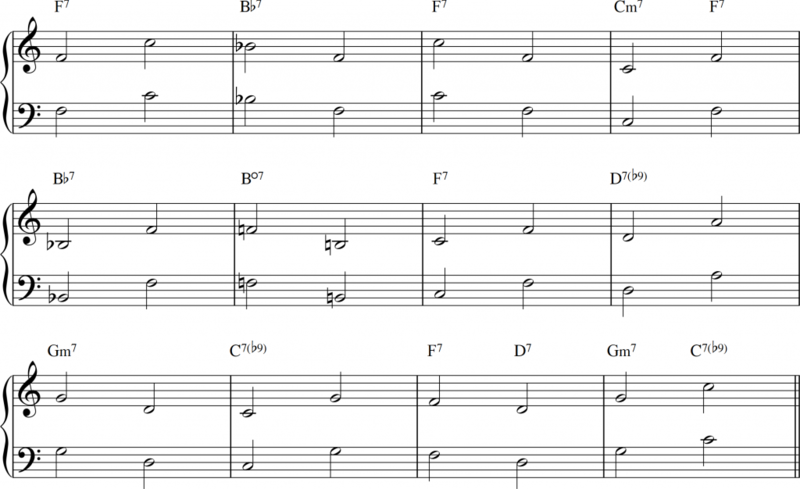 Jazz is a highly rhythmic music, and the groove (the beat, the pulse, the tempo, etc.) is an important aspect of what makes jazz so appealing. Too often the responsibility for keeping a steady tempo is outsourced to the bass and drums in jazz. Truly masterful jazz musicians have a great sense of time, rhythm, and pulse, and they can maintain a steady beat while playing in all situations—even while improvising a capella. In order to learn how to keep a steady tempo without using the rhythm section as a metaphorical rhythmic crutch, we have to consciously practice generating and maintaining our own musical pulse. We can practice this by walking bass lines. First, walk bass lines with a metronome pulsing on every quarter note. After that starts to feel comfortable, put the metronome on beats 2 and 4 only. When that gets comfortable, we can turn off the metronome, and record ourselves walking bass lines a capella. Then we can listen back to the recording, and, using a metronome as a reference, try to see if you can hear if and when we stray from the tempo we’re trying to maintain. After doing this for a while, we can learn to be aware of and then consciously correct our tendencies (to rush or drag, for example) by maintaining a sustained focus on keeping a steady rhythmic pulse. #5: Learning how to walk bass lines allows us to comp for other musicians using our own voice/instrument. Oftentimes, we do not have access to a full jazz rhythm section (bass, drums, and piano and/or guitar), either due to personal aesthetic choices or due to arbitrary circumstances. For example, there are horn players and singers who occasionally perform gigs in a duo format with only a guitarist or pianist to accompany them. In these situations, it is very fun and useful if singers and instrumentalists can at least occasionally comp for their musical partner instead of always merely resting when they aren’t playing the melody or improvising a solo. If we can competently walk bass lines, we can use strategy as a way to unobtrusively play along with another soloist while they’re improvising. It can free up the other performer to be more adventurous and take more risks while improvising since they can rely on their accompanist to clearly communicate the form via walking bass lines. It also frees up pianists and guitarists from needing to comp for themselves while improvising, because often pianists and guitarists feel a strong impulse to walk basslines for themselves or break up their melodic lines to play chords for themselves while soloing a capella. By walking basslines for our fellow musicians, we give them more musical options in many cases. 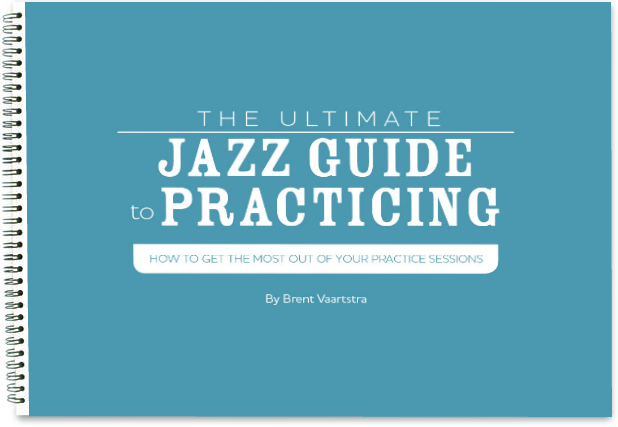 Likewise, many of us teach private jazz lessons and we sometimes want to be able to comp for our students. Walking basslines for our students gives us a useful strategy for comping for them during lessons if we don’t play or don’t have access to a chordal instrument such as a piano or a guitar. #6: Learning how to walk bass lines can help us keep track of the form more easily while playing jazz standards. 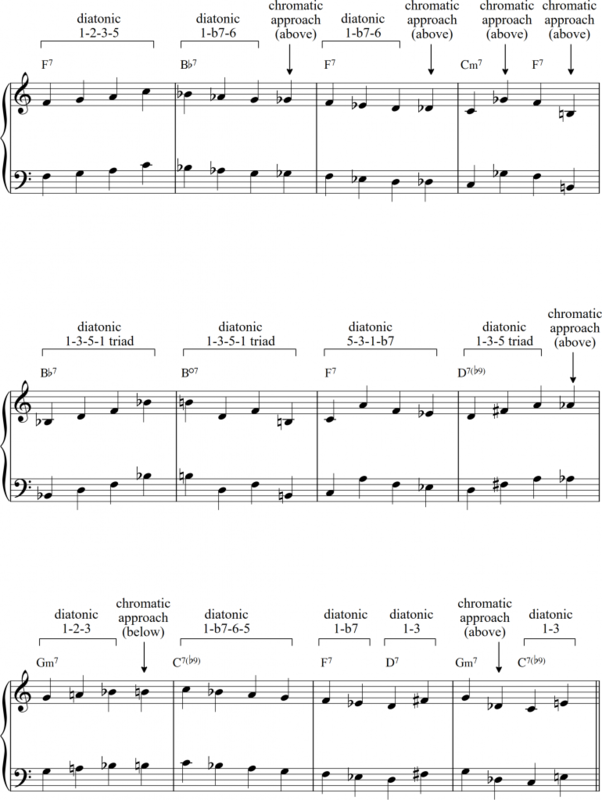 Since bass lines outline the most fundamental underlying harmonic structures of tunes (roots, fifths, thirds, etc. ), if we understand how to hear and play walking bass lines, we’re much less likely to lose our place in the form when playing a jazz standard. This is especially the case when we’re playing a tune that has multiple commonly played versions with different chord changes and/or when we’re playing with new musicians who might have a different approach to the tunes we know and play frequently. If we have a good grasp of how jazz bass lines work, we can more easily and quickly hear if a rhythm section is playing an alternate version of the chord changes for a given tune, and we can likewise hear if someone is using some sort of chord substitution on the fly, such as a tritone sub. #7: Walking bass lines can teach us to respect and appreciate good rhythm section players. As horn players and vocalists, we’re generally used to being the center of attention. We usually literally stand in front of the rhythm section, and audiences generally identify with the front line of a jazz band more easily than they identify with the rhythm section. This is especially often the case with singers. Vocalists can usually connect with the audience more easily and directly than drummers and bassists can, for example. Further, we have relatively low stress and low responsibility jobs as horn players and singers. We merely have to give a convincing rendition of the melody and then improvise a solo, and then we’re basically done and we can hang out until it’s time to play the head out. 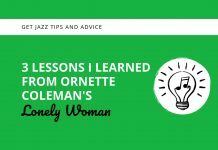 Let me be clear, I don’t mean to downplay how difficult these tasks are; everyone knows that learning how to interpret the melody and improvise over a jazz standard is not a simple or easy endeavor. However, good rhythm section players have to not only know the melody and chord changes for a tune, but they also have to bear most of the responsibility for maintaining the form, chord changes, and tempo. Keeping track of the form, clearly communicating the chord changes, and maintain a steady pulse are all tasks that usually fall primarily on the rhythm section, and on bassists in particular. I want to reiterate that I believe that all jazz musicians—including horn players and vocalists—should adopt the attitude and operate under the assumption that they have to bear as much responsibility as rhythm section players for generating and maintaining good time-feel while performing at all times. That being said, it is also true, in my experience, that horn players and singers can get away with “floating” over the time more so than rhythm section players can. If we’re playing with a really good rhythm section, we can get away with using the rhythm section as a rhythmic support, and we can still sound good without having mastered the ability to truly play with good time a capella. I’ve found that by learning how to walk bass lines, we discover it’s quite a difficult task to perform well, and this can help us have more respect, empathy, and appreciation for the difficult and heroic tasks that bassists accomplish every time they perform a tune. Likewise, by developing a deeper understanding of jazz walking bass lines, it also helps us to develop a sharper ear for musical detail, which can help us make more informed decisions when we have to choose a bass player to perform or record with. Finally, fill in every quarter with diatonic or chromatic passing and/or surrounding tones that connect the roots and 5ths. 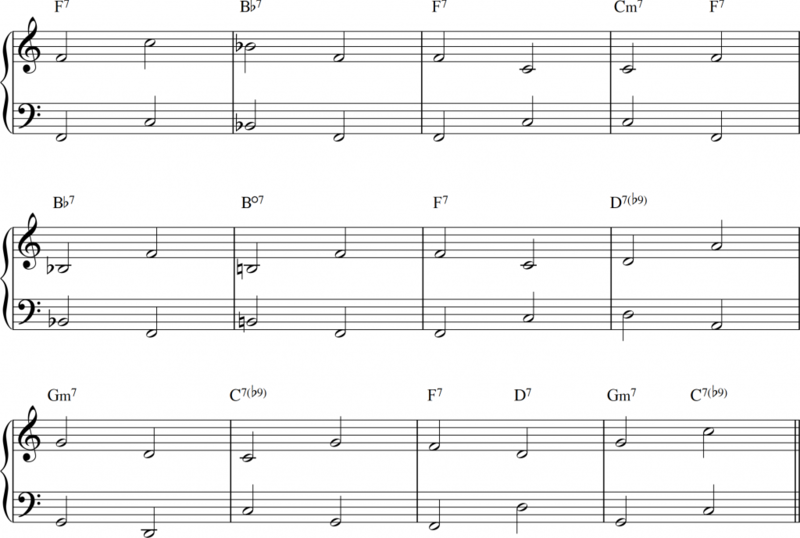 Take these principles and apply them to any and every tune you’re practicing! I hope you find this helpful and useful. Happy practicing!